The National Corn Growers Association (NCGA) just came up with another reason to attend the 2010 Corn Utilization and Technology Conference (CUTC) in Atlanta next month. Former USDA undersecretary and “Next Green Revolution” expert, Dr. Gale Buchanan, who is also dean and director emeritus of the University of Georgia’s College of Agricultural and Environmental Sciences, will give the keynote address at the CUTC grand opening on June 7. Before assuming his current role at the University of Georgia, Dr. Buchanan served as chief scientist and under secretary for Research, Education and Economics at the U.S. Department of Agriculture during the Bush Administration. He is active in agriculture’s scientific community, and recently chaired a panel of notable scientists and government leaders who released an update to Dr. Norman Borlaug’s 1973 CAST Paper No. 1, addressing future challenges in agricultural productivity. NCGA Director of Biotechnology and Economic Analysis Nathan Fields says this year’s CUTC agenda and theme of “Corn: America’s Renewable Resource,” showcase how corn research and commercial pipelines are already addressing the world’s sustainability challenges. “It’s the only conference of it’s kind really focusing on corn as a core feedstock for a myriad of different products,” Nathan says. CUTC will feature a distinguished list of speakers covering topics such as life cycle analysis of new technologies, land use issues, aquifers, water quality and usage, and greenhouse gas emissions. Participants can also attend sessions on health and nutrition, wet and dry milling processes, biocatalysts, gene transformation technology, unique specialty corns, new products and revenue streams. 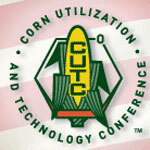 CUTC will be held June 7-9 at the Atlanta Hilton Hotel in downtown Atlanta, Ga. Registration information is available on-line. Listen to or download an interview with Nathan talking about CUTC in general and his session in particular.